I use silk pure coconut milk, fresh ginger, grated nutmeg and palm sugar for sweetness in this coconut ginger sorbet. This refreshing sorbet full with Asian flavor in it, serve immediately is best,otherwise you can freeze them and move to the fridge before you serve. Its really attractive but I can to modify some of the ingredients and look at what I can find locally. I keep buying ingredients and these are just sitting in my pantry. Splendid tastes, the coconut and ginger in one. What a clever combo of flavours! Can't wait to try this. What a refreshing and delicious treat. A refreshing treat!Can't wait until I try it.. 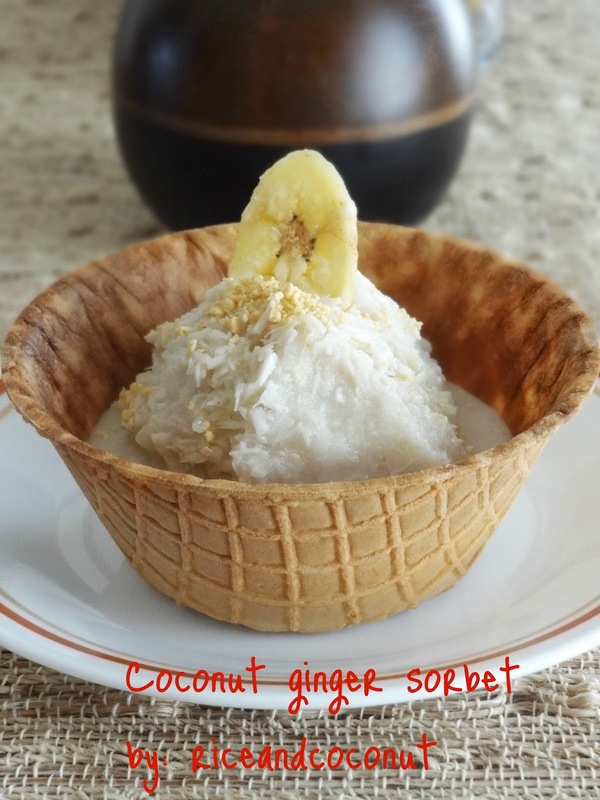 I missed a few of your posts, Ridwan...this coconut sorbet is a 'must have, must make'...love the recipe, and the mouthwatering sorbet!